Nothing in the history of any of the CARICOM countries, including oil and gas-producing Trinidad and Tobago, has given any support to it. The continual repetition of this empty chant, particularly when it is left unchallenged by leaders of the region, satisfies none but those who derive some benefit from resisting regional integration. 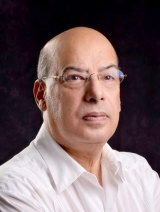 In this connection, Dr Ralph Gonsalves, the Prime Minister of St Vincent and the Grenadines, stands out for another display of courage and intellectual strength in putting “the implementation deficit” in CARICOM “squarely where it belongs -- at the level of the national governments”. In a most important discourse given at the Norman Manley Law School in Jamaica on April 17, 2014, Gonsalves declared: “Accordingly, vaunted change-drivers cannot reasonably facilitate meaningful change in decision-making and implementation in CARICOM if the individual governments or several of them do not embrace a commitment, made manifest through structured arrangements day-to-day, in the making and implementation of CARICOM’s decisions”. Only the severely delusional or those content to exist as individual big fish in a contracting and leaking small bowl can claim benefits and progress based on their own national effort. For the truth is that no country has survived, thus far, without preferential markets for their export of goods and considerable aid from donors – both of which are fast dwindling. Further, in relation to external threats, including drug trafficking and natural disasters, each of them has depended on outside help to carry them over the worst. None can achieve it on its own. Yet, the resistance to deeper integration prevails, even though there is no assault on the notion that CARICOM is “a Community of Sovereign States”. In other words, no serious advocate of deeper integration has called for a political union of CARICOM countries in any form -– unitary state, federation or confederation. What serious commentators on the CARICOM condition call for is what the integration movement was always envisaged to be: a vehicle to help CARICOM countries achieve economies of scale and critical mass in many economic and non-economic activities; the facilitation of non-regional exports; the creation of a single market space that would increase opportunities for local producers (from markets of 50,000 and 100,000 in some cases to millions); functional co-operation and common services in a wide range of fields; and greater bargaining power vis-à-vis the outside world. While CARICOM has undoubtedly enjoyed success in common services, those services have benefitted participating countries enormously and none of them would have been able to establish these services on their own -– necessity has therefore been characterised as a virtue. A similar approach in all other areas would benefit each country and the region. Alas, such an approach has not been adopted. Even in the area of foreign policy, CARICOM countries weaken themselves by their failure to act together. Recent votes in UN bodies, where the 14 independent CARICOM countries have not voted in harmony, considerably devalues the worth of their collective votes that many government leaders trumpet as a reason for holding on to individual sovereignty. Collective votes not cast collectively are as straws in the wind whatever minimal short-term benefit individual (and opposing votes) might bring. If there is one place for argument in Prime Minister Gonsalves April 17 discourse, it is his statement that: “Neither the political leadership as a collective nor the populations as a whole have an appetite for much more than what is currently on offer in the (Revised CARICOM)Treaty commitments”. If there are sections of the populations that have little appetite for more than the Treaty or, indeed, for less, this is due in large part to the failure of governments to inform and educate their populations about the benefits of integration, and the disposition of some sectors of the political and business elite to treat Caribbean integration as a dirty and threatening undertaking. The most recent study conducted by the late and highly-respected Professor Norman Girvan and others, show quite clearly that throughout the region there is an appetite for more not less integrationand, unquestionably, for the implementation of what is already agreed in the Revised Treaty. That one point does not, however, detract from the powerful message of Gonsalves’ discourse. Entitled, “Bridge Over Troubled Waters: The Caribbean Community, The Caribbean Court Of Justice, Shanique Myrie And Community Law”, the Prime Minister, having recognized that CARICOM leaders are chiefly responsible for the failure to implement their own decisions and that they “talked the issue of improved community governance to its death”, declared that in its single judgment in the Myrie case, the Caribbean Court of Justice (CCJ) “effectively announced its arrival as the antidote to the implementation crisis within CARICOM”. Essentially, the CCJ asserted the existence of “Community Law” arising out of decisions of CARICOM Heads of Government Conferences that they failed to implement or to enact in their domestic law but which are nonetheless binding and enforceable. Prime Minister Gonsalves contends: “It is not a tenable situation when Member States of a regional grouping can fail, whether through intention or inadvertence, to implement in their countries, decisions taken at the Community level”. But he is experienced enough to pose the question: “Will the ‘Empire’ of the Heads of State/Government Conference strike back, or conform with the potentially far-reaching Myrie Case”? And with foresight born of familiarity, he concludes: “My informed guess is that CARICOM Heads will be more careful in crafting its decisions in the future”. And that is the misfortune for CARICOM and the people of each of its member states. Some leaders may seek to obscure their own decisions as to make them pointless and so thwart the very Community Law that they established the CCJ to oversee. In Gonsalves words, the CARICOM Treaty would remain “integration in shackles”. It need not be so if CARICOM leaders seize the opportunity to address the weaknesses, vulnerabilities and fragilities of their countries by embracing the mature regionalism that each of their countries and CARICOM sorely need.